If you’re like most people, you wait until the last minute to do things for the holidays. We all have busy schedules with work, school, kids, and family. Because of this, Halloween costumes are usually the last thing on the list. 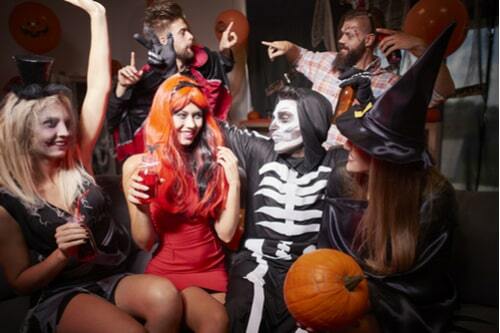 If you’re invited to a party and don’t have the time or money to spend on putting together a costume, don’t stress! 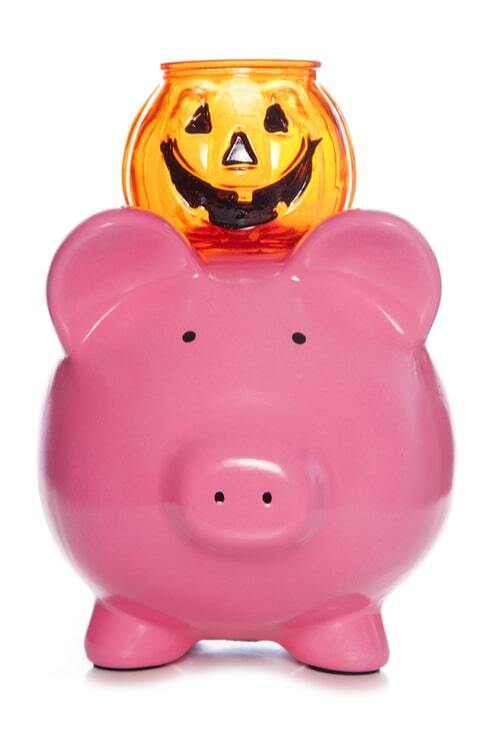 Here are some cheap and easy Halloween costumes to throw together last minute, and also help you save some cash. Deviled Egg: If you have a good sense of humor and like the occasional goofy costume, this may be the one for you. The supplies needed for this costume are: a white tee shirt, yellow construction paper, and devil horns. This outfit is not only easy to put together, but also can be made with items you already have. By cutting a circle out of the yellow construction paper and gluing it to the shirt, you have the egg portion of your design covered. Next, you need devil horns that can be purchased at any costume or party store. You can even add a devil’s tail as well! Kissing Booth: This costume is perfect for both male and female. It is clever, and can even steal you a few smooches. The supplies needed for this costume are: poster board paper and some markers. And the best part is, this is an insanely easy and cheap outfit to create. Start by cutting a hole in the top ½ of the poster board making it resemble a booth. Be sure to keep the paper vertical. On the bottom half of the booth, write “Kissing Booth 25 cents.” You can wear any outfit to go with your booth. For extra humor, you can put kiss-marks on your cheeks with lipstick. Risky Business: If you have ever seen the movie risky business, you know the exact costume that is the staple piece of the movie. Supplies: white button down shirt (a few sizes too large), black sunglasses, and tube socks. The point of this costume is to make it look like you are not wearing pants. Whether you wear them or not is at your own discretion. Wear the button down shirt, tube socks and sunglasses, and your outfit is complete. Everyone will know exactly what you were going for. 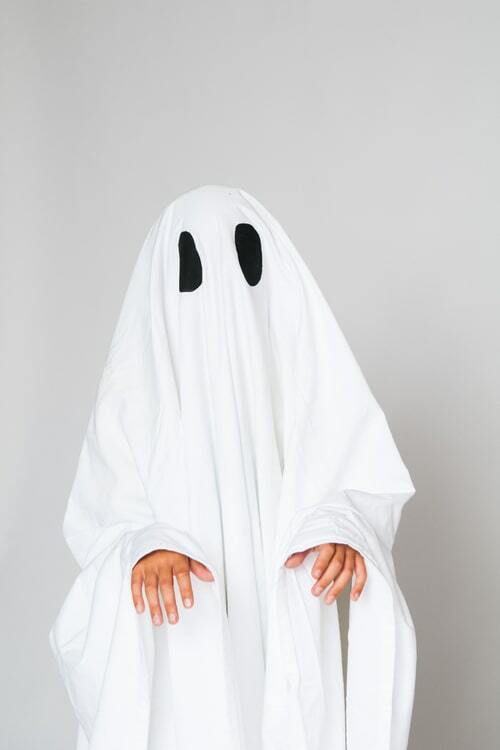 Sheet Ghost: Whenever we think of classic Halloween costumes, we all know the ghost made out of a sheet. Hey are the only supplies needed for this costume: full size white sheet and scissors. To start (and finish!) your ghost costume, just cut eye holes in a sheet, and BAM! Costume complete. Although this Halloween costume is random and simple, it will be sure to get plenty of laughs throughout the night. Mummy: If you are the type that enjoys the horror aspect of Halloween, you may want your costume to reflect that. You can create a mummy costume with a minimal amount of supplies. The supplies you will need for this are: multiple packs of white bandage/gauze, scissors, and brown eyeshadow. First, decide what you will be wearing under the wraps, because they will not cover everything. Preferably, wear something white, such as shorts and a tank top. After you have your clothing on, start to wrap yourself with the gauze and tie it at the ends to prevent unraveling. When you are all wrapped up, use the brown eyeshadow to give yourself the added effect of being aged and dirty. If you find that even these supplies are out of your budget, you may want to look into a title loan for the coming holiday season. By simply doing an internet engine search, you can look up: title loan near me. A title loan may even help you with extra money you may need for the coming Christmas holiday.